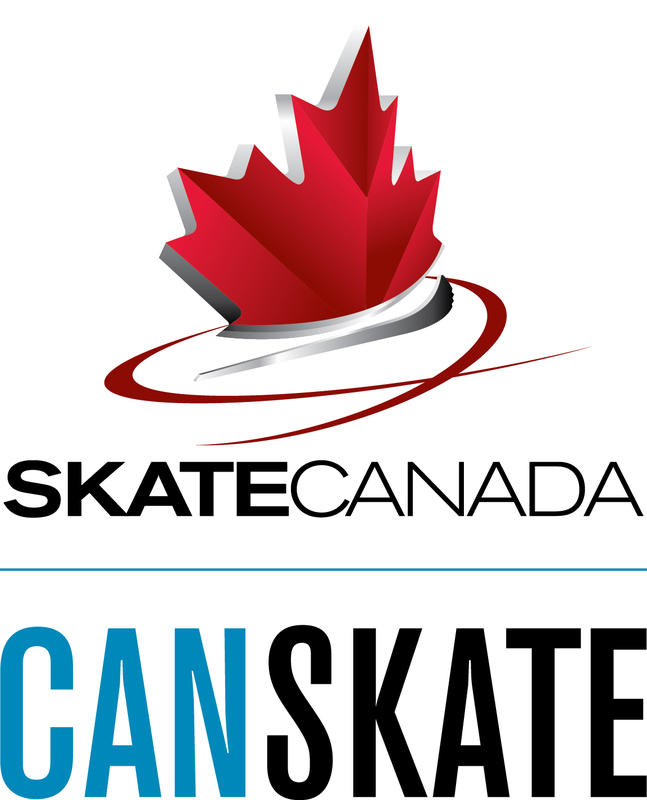 CanSkate is Skate Canada’s flagship learn-to-skate program, designed for beginners of all ages. The program is based on Sport Canada’s long term athlete development (LTAD) principles. The program includes specific skills that pertain to hockey, ringette, speed skating and figure skating. It includes a complete series of balance, control and agility skills taught in six stages of learning. Badges, ribbons and other incentives are used to benchmark skaters’ progress and reward effort and participation. Skaters progress at their own rate and coaches make sessions active using teaching aids, music and a wide variety of activities that create a fun environment and promote learning. 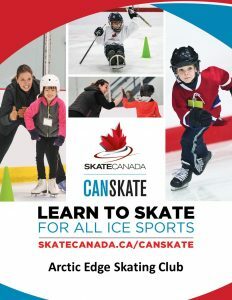 Our Canskate program is ideal for 5 to 13 years olds but we also accept skaters of all ages. The classes are 45 minutes long. We also offer a program specifically for skaters who are 5 years old or younger. The focus of this class is to teach skating within a relaxed & fun atmosphere for younger skaters. Groups are kept small, so that as much individual attention as possible is given to young skaters. The classes are 30 minutes in length. 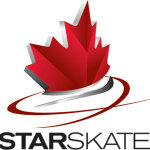 Skate Canada certified coaches and program assistants provide instruction. 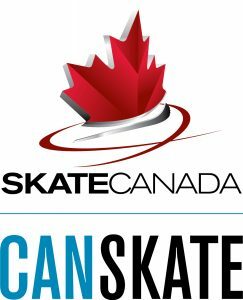 All Skate Canada CanSkate skaters must provide and wear a CSA approved hockey helmet on the ice. Bicycle helmets are not permitted.